anita ♥ handmade: Christmas-in-July Sale at Lustre! !!! 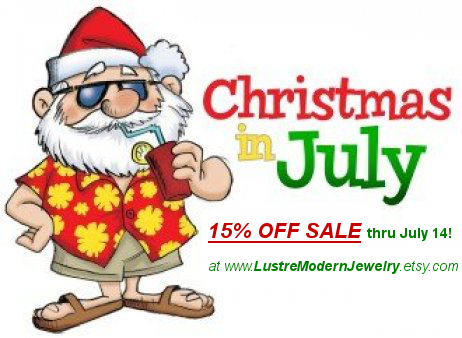 CHRISTMAS IN JULY sale !!! Lustre storewide 15% off, no coupon code needed. Sale is going to start on July/08 and will end on July/14 Eastern Time.